But is there in fact somewhere on the planet that is virtually a paradise for parents, and therefore more likely to be ideal for children too? Is here the place where there is no need to re-make parenting because perfection has already been achieved? Spain is a long way from being without flaws but there are genuine signs that it is, by some important measurements, one of the top five countries for kids to grow up in. A United Nations (UNICEF) report published in 2007 examined various aspects of child welfare and Spain was assessed overall as being only behind the Netherlands, Sweden, Denmark and Finland. Even if we do not accept that these aspects of life can be always accurately measured, when put together they do point toward a quality to young people’s lives here that is far better than say, the USA or the UK (who came in 20th and 21st place respectively). My perspective on this country (which is more accurately described as a collection of separate “regional” or (semi)-autonomous nations) is naturally that of a migrant. At the time of writing my family and I have lived here for just over three years, which is enough time to get strong opinions on this land, but these impressions have obviously been formed from the position of an ‘outsider’. When asked about the benefits of raising a family in Spain many mothers and fathers will tell you about the climate here, the outdoor lifestyle, the beaches, the open spaces and the natural beauty of the plains, forests and mountains. Those from more northerly countries such as England and the Netherlands will often first mention how much the sun is an attraction for them and how the longer summer days with their extra hours of light are a source of enjoyment. Cheaper house prices are also a factor for many. But to someone like me who spent the first three-quarters of their life in Australia, there are a range of other reasons why I also value this part of the world for living and parenting. One of the things I have come to see as remarkable is how children are valued and treated in Europe, but particularly in Mediterranean countries such as this one. Here, it is a common sight to see both men and women with their heads leaning over other people’s prams talking, smiling and engaging babies and toddlers. Older children (and even teenagers!) are also generally well-acknowledged and greeted by non-parental adults, and this can only partly be explained by a greater number of extended families and relatives still living nearby, as is traditional. Quite simply, parents will often take their children with them when they go out to socialise. One summer, I came out of a live music club in the centre of my town at 3 o’clock in the morning (a rare event for me these days) and saw a baby under the age of two happily toddling around with her parents! While this may concern many outside this part of the world, there appears to be no significant ill-effects on most young people, largely because alcohol and drug consumption is generally moderate (except at certain times, which I discuss in ‘the Case Against’ in the next section). Probably the fact that younger Spaniards are accepted and even encouraged to be part of the enjoyment of adult life (including ‘night life’) is because they usually don’t cause any serious problems when they are out and about. In contrast though, the traditional attitude towards children and adolescents in so many other parts of the ‘developed’ world was that they should be ‘seen and not heard’. As a kid myself I was told this on a number of occasions and the fact that I remember those comments thirty years later shows how much it registered with me then. It is arguably not deserved, but the prevailing attitude today in England or ‘newer’ nations like Australia or the USA is that children are largely a nuisance, particularly so when they are not your own children. Just the word ‘youth’ immediately conjures up mental associations that are disturbing for many. To my mind, coming across the typical gathering of teenagers in the average Spanish street is a whole lot less ominous, intimidating or threatening than in English-speaking countries. Spain’s young may be as noisy as anywhere else but there is rarely any menace about their behaviour in public and there is often a kind of deference and politeness to adults that is rare in the ‘wealth-comes-first’ societies. Equally, I have observed a confidence in the young here, particularly so with teenagers, that I consider being a kind of “self-possession” and it is much rarer elsewhere. Whether this air of assurance comes from spending more time socialising with and around adults, or instead comes from other sources is hard to know but to me it is a noticeable part of this society. I am not suggesting here that there is a complete absence of false bravado (which is epitomised by hip-hop/rap culture that now prevails in so many places) but this quality does not seem to come from being particularly independent or self-reliant – probably the opposite. One possible explanation for this youthful self-possession can be found in how well younger children are treated by older children here – something I was pleasantly surprised to find. While there is bullying and rancor amongst siblings just as in all other countries, in public at least, the littler ones are looked after with kindness and concern by the bigger kids. It is still common custom for the elder brothers and sisters to keep an eye on their younger family members when parents and grandparents are not around. In Spain (and in Catalonia where I live) the importance of family and children has an almost guaranteed place in the habitual routines of life. 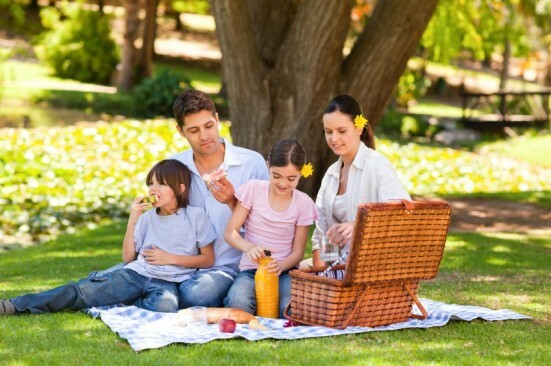 Every Sunday is “family day” and this is quite a firmly established custom. Unlike England, Sunday does not mean going to the indoor shopping mall or the ‘high street’ and wandering around in a vaguely semi-together way or staying inside fixed on the computer or watching TVs in your separate rooms, here it means being together, eating together, going for a walk together and generally acting as a tight-knit, often extended, family group. Very few shops are open on this hallowed day and only restaurants seem to do good business, and this is still largely true about the biggest and most modernised cities like Barcelona. There are other factors at work also, but in those parts of the world where they have seven-days-a-week trading hours (such as Australia) it is no coincidence that family breakdowns are at their highest. While undoubtedly the family unit and its traditions, such as the long Sunday gathering, can at times be claustrophobic and in some senses even suffocating, it surely has significant benefits as well. Spending at least one full day out of every seven days in the shared company of family must be good for building relationships, even if there might be moments of tension or resentment during ‘socially-enforced’ togetherness. Of course, families (including my family) cannot be separated from a much wider society, and in Spain I think this is particularly so. The social environment outside the home is also vitally important in children’s development, partly because it is brought into the home through technology such as the internet and the media, probably something most apparent in television. In general there is a lot of anecdotal evidence to suggest that despite a large increase in unemployment due to the recent economic crisis Spain is still a happy place overall. Society is basically contented, and more systematic studies seem to confirm this. A recent World Health Organisation (WHO) survey found that only around 6% of Spain’s populace showed a ‘prevalence of any emotional distress’ compared to at least 22% of Brits and Australians or a staggering 26% of Americans. [iv] So, if the world outside the front door is mainly free from tension and anxiety then it makes common sense that the private world is more likely to also be relatively tranquil much of the time. However, in a report published by FUNCAS [la Fundación de las Cajas de Ahorros] 49.5% of parents believe that the level of knowledge expected from their children today is ‘too low’, 44.6% say it is ‘acceptable’ and only 5.5% think it is ‘too high’. Despite this, the parents surveyed gave the Spanish education system as a whole 3 out of 5 and 82% said they were either ‘happy’ or ‘very happy’ with their child’s school, giving the schools themselves an average of 4.1 marks out of 5. At the end of 2007 Spain had joined with another 16 of the 46 European Union member nations to ban the hitting of children. In Spanish law parents were previously allowed to ‘reasonably and moderately correct their children’, but the Socialist government of José Luis Rodríguez Zapatero has voted to delete that clause in order to remove any ambiguity. Spain has become the second country in the world in number of international adoptions (only behind the USA) [vii] so this is good news for anyone wanting to be an adoptive parent. Unlike Australia for example, Spain has a strong history (and a lively culture today) of political and intellectual debate. Those who use words as their business (including writers and media figures) are generally well-respected. While, it is true that some of the debate of current issues can be predictably rigid along ideological lines, the fact that a healthy public discussion exists at all means that young people can and do become active in local movements and organisations. The pride that so many adults and children have of their town and region means that they often take an active interest in defending it and being part of its collective life. A lot less Spaniards move away from their home area than say, North Americans, which creates bonds of attachment to the people and places of they grew up with. In other words, adults and younger people “know their roots” here and have a fundamental respect for them. Related to this point above is the fact that in Spain there are plenty of public open spaces that are not there to be commercial. The plazas are not shopping centres and the ramblas are not principally designed for trade. The parks are many and they are not “retail parks” for buying and selling. The town square is not a “mall” but is instead reserved for festivals or protests. All these places are for idling, strolling, gathering and talking, socialising and playing. They are social by their nature and they function as spaces for community activities rather than for simply spending money. To someone like myself who grew up with the focal point of young life being a multi-storey shopping centre, I am happy to know that my son and his friends will not be spending their free time sitting around in a place where everyone is first and foremost a consumer. Spain may have many points in favour of it being a paradise for parents (as well as for children) but there are also downsides to being a mother and father here. Forces working in opposition to good parenting are many and varied and they are causing this country to be a less than perfect place to raise kids. One thing that shocked me soon after moving here was that many parents in Spain are quite blasé about letting their children play with fireworks. I personally witnessed a very nasty example of this at our first Saint John’s Day celebrations. A (then 5-year-old) friend of my son’s had been allowed to play with firecrackers by himself for several hours and with little direct supervision by his parents. This boy was standing very close to a small bonfire in the square where we were and he threw some kind of cracker into. As was likely, it exploded, injuring a girl nearby as well as damaging this boy’s face and eyes. My wife had the presence of mind to throw water in his eyes and he was rushed screaming to a hospital for treatment. Another who shares these concerns is Juan Pedro Barret, the head of the burns unit at the Vall d’Hebron hospital in Barcelona. Doctor Barret is fed up of seeing injuries caused by the misuse of fireworks, including the need for hands, fingers and feet to be amputated. He believes that the night of San Juan [ie. Saint John] is always one of the worst times to have to be on duty in the accident and emergency department. According to him [x] there is a constant flow of injured people but that after the mid-nineties when safety measures improved the number of those seriously harmed has decreased somewhat. In one El Pais newspaper poll [xi] (of 2,165 people) 70% supported the placement of restrictions on festivals with fireworks due to danger. But while many people in Spain have a relaxed attitude towards explosives around them, where there is fire there is also smoke (to swap around an old English expression). Here I mean smoke from cigarettes, and in this most Spaniards see no problem with smoking around the young and very young. One survey from 2008 done by the nation’s Society of Pneumology and Thoracic Surgery found that between 50 and 70% of Spanish children are in effect, passive smokers. [xii] The same report showed that 92% of homes here are not smoke-free, which is the highest in Europe. [xiii] In fact, 85% of the country’s smokers admit to smoking around non-smokers, many of whom are children. While smoking affects children’s healthy growth, there is another factor that I believe is stunting kids (and grown-up’s) mental and social development here. Put simply, Spain is nowhere near as multicultural as countries like the USA, Canada, Australia, New Zealand or Britain. Thanks to relatively new immigration policies Spain is now more ethnically mixed than the homogeneous societies of Japan, Finland or Korea, but today’s Spain still lacks large and well-established communities from outside its borders. There are increasing numbers of North Africans and Eastern Europeans for example, but non-Spanish are still at the margins of society in a cultural sense here. I think that children benefit greatly from growing up alongside other young people who might look different to them, eat different foods sometimes, speak different languages and have parents who come from a spectrum of the globe. Both Australia and Britain then displayed the types of ignorance-based racism that Spain does today. Bigotry by Anglo-Saxon still exists widely, but it often takes a more modern form – one that comes from years of proximity and at least partial integration with minority ethnic communities whose children are second-generation ‘migrants’ and often very much part of mainstream society. And when it comes to mainstream in Spain, one of the most widespread aspects to life here (despite rising numbers of divorces) is the potency of the family unit, as I discussed in the previous section. But this strength can also create a weakness. As Javier Elzo, Professor of Sociology at the University of Deusto in Bilbao notes, “Spain has one of the lowest percentages of young people independent from the family.” [xvi] According to the Youth Institute ‘Injuve’ almost two-thirds of Spaniards aged 25 to 29 live off their parents, [xvii] a figure that highlights a drift towards a greater number of “eternal adolescents” who live at home until well into adulthood and (possibly) grow up only if they have their own children one day. As journalist José Luis Barbería discovered, this is something common across developed nations, but is at a very high level in Spain. Surveys show that young Spaniards (between 15 and 29 years of age) love their families above all else. But they also show that 51% of young Spanish men and 50% of women with a job and the funds to ‘fly the roost’ choose not to do so. I believe this is a genuine problem because it denies parents a degree of freedom from their children that they have most likely deserved by that stage in their life. It also creates an ingrained habit of reliance amongst the grown-up children that is harmful. It can cause these adults to be a lot less responsible than is ideal, if they themselves become parents. Another troubling development is an apparent increase in alcohol consumption by young people in this country. One recent Ministry of Health survey revealed that while one in four teenagers drank to get drunk ten years ago, a full 50% of them do so now. [xix] Some observers point to mass drinking parties in the street or on the beach, a phenomenon known as botellón (or ‘big bottle’) as evidence of this problem. In some cases, these events indicate a selfishness that is indifferent to the need for people to sleep, and shows an attitude of not caring about where creating a mess of broken bottles, vomit, and urine outside other’s houses. This is not the Spain that I want my son to grow up in. At the time of writing, Spain’s unemployment was stuck at around 20%, and among 16-to-25-year-olds it was a whopping 38% – the highest youth unemployment rate in Europe. [xxii] This figure shows up what many economists have said for a number of years about Spain’s economy being too reliant on the building boom and tourism. It suggests a future, at least in the medium term where jobs for young people (as well as some parents) are going to be scarcer. Spain comes close to the average of [fifteen days] paid maternity and paternity leave but lags behind many other European countries (particularly those in Scandinavia) when it comes to comprehensive support for parents. I would argue that in this crucial area the model for all parts of the world should be Iceland, where fathers can take leave from work for a full three months on 80% of their wages. The typical Spanish extended family can extend itself much too far. Maria, one mother I know was so determined to escape her constantly intrusive, nagging and often insulting mother-in-law that she felt she had no choice but to move out of the house that she shared with her husband’s parents. (She actually moved to another country!) A living situation with this kind of unnecessary stress is probably best avoided, for the sake of the children involved, as much as the parents. Some attitudes towards the very young are downright bizarre. A case in point is the festival of El Colacho in the small village of Castrillo de Murcia, located at the foothills of the Cantabrian Mountains. This particular celebration began in 1620 and is held every year on the ‘feast day’ of Corpus Christi. All babies born in the previous twelve months are laid on a mattress in two rows and the local adult men (dressed as devils) take turns jumping over the babies. Injuries often result, though these are usually to the adults. There has apparently been a belief that this jumping rids the babies of “original sin” though the Catholic Church now says it frowns on this tradition. Using babies as a kind of flat hurdle might amuse some people but I can’t help thinking that anywhere that takes these kinds of risks with infants is putting a priority on continuing an absurd superstition ahead of common sense child safety. Spain is not immune from what has been called the ‘Californication’ of the world. American culture (especially clothes and music) is hugely popular with teenagers but also in pre-teen culture such as movies, toys, and cartoons. This type of ‘colonisation’ has not gone as far here (yet) as it has in countries such as Australia or Japan and the fact that Spain has a strong pre-existing customs of its own does lessen the effect of Californication. Even so, the force of this tide is strong enough to have an impact on young Spaniard’s attitudes and habits (including buying habits). The current generation of young people are not the first to have an interest and taste for culture outside Spain but American influence is seemingly stronger now than ever. I don’t want my child to live in a virtual 51st state of the USA. It has many problems that this part of the world can do without. So, what can we learn from Spain and it’s parents & children? Acknowledging that there is a lot more than just a good climate and natural attractions that make it a good place for parents and young people to thrive in. Take into account that Spain generally has open intellectual debate; active pride in home towns; wonderful non-commercial public spaces, and a good food culture, BUT it also has very high unemployment, particularly amongst young people; a disjointed child care system; only average maternity/paternity leave arrangements, and is (just like many other parts of the world) embracing American youth culture too eagerly. Brett Hetherington was a secondary school teacher for 15 years and is a regular commentator on Spain’s social and cultural life for Australia’s ABC Radio, as well as being a monthly columnist for Catalonia Today magazine. He is also a freelance journalist. Some of his work has appeared in The Guardian online, The Australian Journalism Review, Barcelona Metropolitan and Monocle. Brett lives with his partner/wife Paula and their young son Hugo in Catalonia’s Barcelona region. You can visit his website at www.bretthetherington.net and blog, “Standing in a Spanish Doorway” at bretthetherington.blogspot.com. 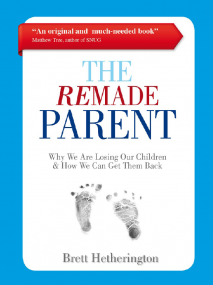 If you’d like to read the whole book, The ReMade Parent, you can purchase the Kindle or Paperback version for the current low price of £2.80 and £5.27 respectively.